To excel in his field, he has multiplied internships in the West African subregion including the observer training at the peacekeeping school in Zambakro in 2001 in Côte d'Ivoire, the planning internship in the center. 'Koffi ANAN' in Accra, Ghana and the demobilization and reintegration disarmament course in Bamako, Mali, in 2007 and 2009, respectively. 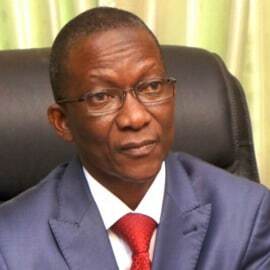 In 1997, Ouro-Koura AGADAZI was appointed Director General of the Togo Food Security Observatory (OSAT) which, following reforms in the sector in 2008, became the National Food Security Agency of Togo (ANSAT). From October to November 2007, he was appointed Director General of the National Police. In view of his good results obtained with a way, responsibility and especially rigor in the work, Ouro-Koura AGADAZI received four honors: Knight of the Order of the Mono in 2002, National Officer of the Order of Merit in 2005, Commander from the National Order of Merit in 2014 to the National Officer of Agricultural Merit in 2011. Practicing martial arts, he loves taekwondo. Since July 31, 2012, Ouro-Koura AGADAZI has been managing the portfolio of the Ministry of Agriculture, Livestock and Water Resources.